Abby Jane Chandler was born in 1840 on a farm in the West Parish that had been owned by generations of her family. 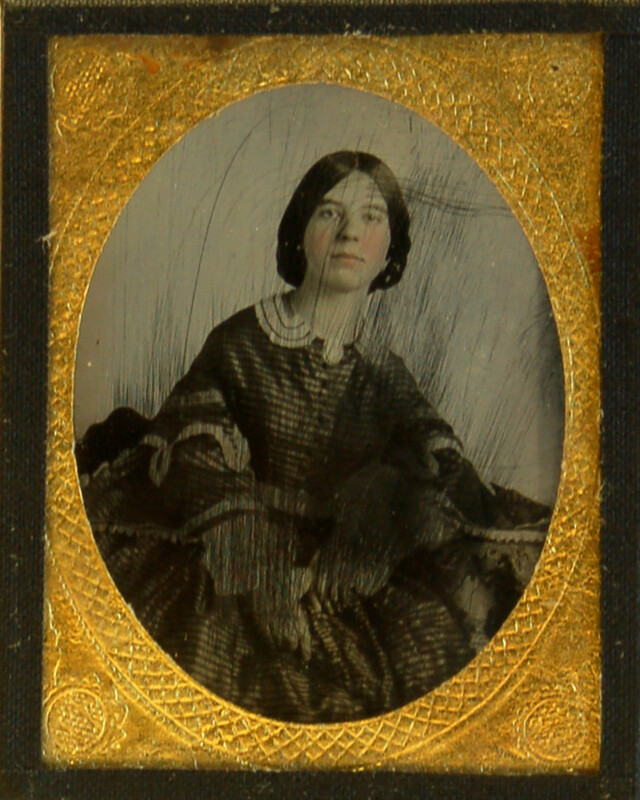 She attended Punchard Free School, and was a student at Abbot Academy before graduating from the State Normal School at Salem, Massachusetts in 1859. She taught at the West Centre School in 1860/1861, receiving $232 dollars for her ten months of work. But teaching at a country school house must have seemed sadly flat, once war was declared and so many young men, including both her brothers and her admirer Peter D. Smith, had joined up. Abbie Jane moved to Washington, D.C. and took a job as a copyist in the newly formed Internal Revenue Office, where her annual salary was $720 by 1865. Washington offered entertainment that was unavailable in Andover, including the opportunity (in April 1864) to pass through the city’s ring of fortifications to visit friends in Alexandria, Virginia. In March 1865, Abbie Jane received an invitation to President Lincoln’s inaugural ball. Abbie Jane returned to Andover and married Peter D. Smith at Andover’s West Parish Church in November 1867. They raised three daughters, and except for ten years in Gloucester, lived for the rest of their lives in Andover.